Most of the time, I recommend you use the admin account to change your Unifi settings, TM themselves admit that they don’t even set a password for this account on their user guide (page 9, 2nd bullet). However, if you’ve changed the password to this account and forgot it, there’s still a 2nd account that is left lurking in the system. This is the ‘Operator’ account, and actually has more features than the standard ‘Admin’ account. TM have left this here, presumably for support purposes, but quite frankly, they shouldn’t. It’s like your house contractor, keeping a spare key to your home for ‘support’ purposes, it’s just not good security. Needless to say, please change the operator password once you’ve logged on, and remember it wisely this time. For more info on the vulnerability check out this link here. The vulnerability is called an authentication bypass, and literally allows you to access the router with no credentials at all! You can visit any page from the router menu, by just adding the “?NO_NEED_AUTH=1&AUTH_GROUP=0” to the end of the link. And you’ll see in plain-freaking-text, your unifi routers username and password, for both the admin and operator/management accounts. Thanks to use_the_source_luke from this bugtraq post. This is all public information at this point and you deserve to know that your unifi router is insecure. So get out there and buy a new router already. However, you made need to call TM for your Unifi Password. It’s also important to learn how to secure your router, the first bit is easy. Change the passwords, TM have a really bad habit of setting the router password to blank, meaning there literally is NO PASSWORD!! Needless to say, that’s bad security. What’s even worse is the average customer isn’t aware of the operator account which is left on the system with default passwords as well. From my quick checks, about 50% of people don’t change they’re router Admin passwords, and nearly 99% of people haven’t changed their operator password. You can’t really blame them, they didn’t know the operator account was there in the first place. So basically 99 times out of a 100, you’ll be able to ‘hack’ your unifi router using nothing but default passwords. Securing the router, first and foremost requires that you change the passwords from their default values. Secondly, if you’re using a firmware version of 7.09 and below, it’s time to upgrade your firmware. Upgrading your router firmware is actually pretty common stuff, there are entire websites that are dedicated to documenting router vulnerabilities, not for hackers, but security research–and this concept actually helps make our everyday appliances more secure. A lot of people have locked themselves out of their home routers, so hopefully this post helps. However, because TM have such a bad stance against security, it also means that if you don’t take the necessary precautions, you could be on the wrong end of an attack. Remember to stay safe and secure, securing your router is as important as securing your front door. thank you! forgot my pw and router has been acting up a bit so this was very helpful. Many thanks from a grateful Unifi-er. Hai i tried everything but couldnot get a solution. 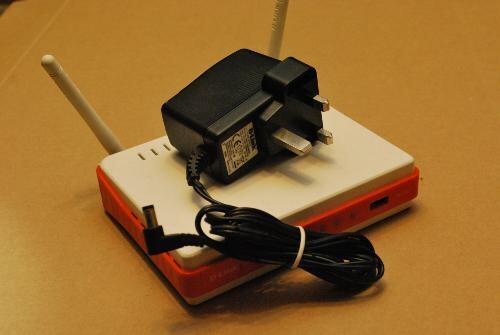 How do i hack TM firmware version 1.07 router ? i need the admin password please. Sorry bro, that’s the L7 Router. Try using the default passwords, if that doesn’t work the only sure-fire way I can recommend is to RESET the router. someone hacked my router & change the password… what shall i do ??? Just reset your router by the button ! And it will switched to default id and password ! dude you save my day!